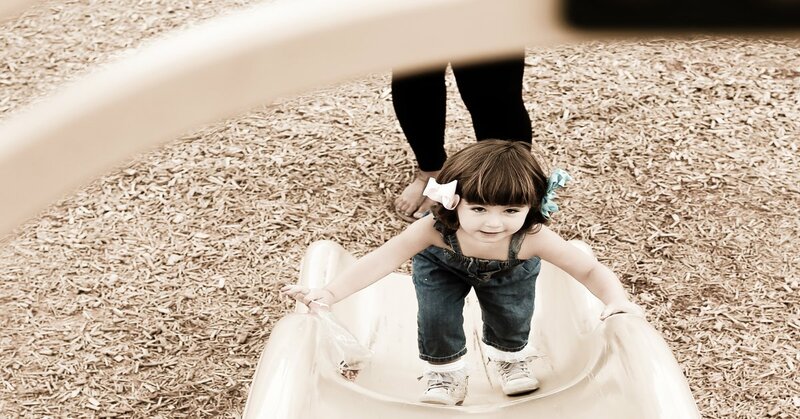 Do you allow your child to CLIMB UP slides? Do you look down upon mothers who don’t stop their children from climbing up the slides? 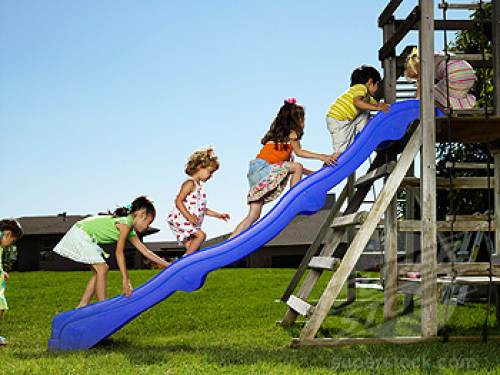 Do u feel annoyed when your child is trying to slide down and another child child tries to climb up right before that? This is one of the most controversial parenting issue, which parent of a toddler would definitely relate to. It is believed that if you let your kid go up the slide, you won’t be controlling your child which may cause an accident. And mommies who so their little ones from climbing the slide are really tough and strict and are the ones who don’t let the little ones have any fun . I used to be against slide climbing. 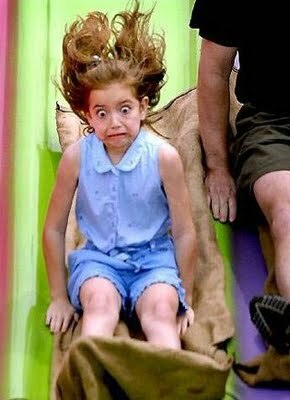 When I was little, I was a naughty kid, who would love to climb up the slide. And an incident that I very well remember is that one day while I was CLIMBING UP THE SLIDE I knocked off a friend as she was coming down it. She broke her arm. I was shaken for a long time, and this was the reason of my negative view of slide climbing. I was sure I wouldn’t let my daughter do the same, as I dint want her to be in a similar situation, thus taking her to the park was a difficult task for me, as she would see all the kids climbing up the slide, however I would keep repeating to her that this is wrong way to play on the slide. Soon enough my mom explained to me something that changed my outlook on the situation. And I learned that slide climbing was positive for a three sensory development of a child. I decided to question this stance and now I am pretty much in favor of child being allowed to climb slides. Climbing up the slide provides a Heavy Work Sensory Experience to a child. When the child pulls himself up a slide he would experience a sense that can increase attention and body awareness. It also allows a child to learn that we may change certain rules based on various factors. In real life, rules don’t always stay the same and you won’t always find them in black and white . If we teach our little one that you may be allowed to climb the slide only when the park isn’t crowded, is a conditional rule or a the fact that you have to wait for the slide to be empty before attempting to climb up, so you don’t end up having an accident while doing so. The child needs to learn that he/she needs to listen to the adult in charge. It gives the child the opportunity to learn courtesy. It is polite for a child to allow the children sliding down first before climbing up the slide. It also accommodates for the well being of other children by explaining to your little one that one shouldn’t try on climbing the slide if there are many younger kids in the park who may not be too independent and skilled on the slide. This makes them aware of the needs of other kids. It also helps in making them more creative, since it allows them to physically experience the fact that values things can be used in different ways. So what is your stance on slide climbing? How have your kids been playing outdoors? PreviousIs it a criminal offence to raise an English speaking child in India? New to parenting?? Here is how to get a ME time..
I’m so glad to know that you liked my approach to this.. I totally agree to this.. This happens with me too most of the times. Hehe.. Wow I’m so happy for ur little boy..
Thats quite an informative post!And yes my daughter also tries to climb up the slide and like you i also don;t stop her but only when the park is empty! Very informative post. Great and beneficial thoughts for parents. I think in general we have become very restrictive with kids these days. You have made some lovely points here. Very informative post. Great thought. Thanks for sharing.